We've known for a while now that DreamWorks Animation switched the premiere dates for their new property (starring Steve Martin and Rihanna), Home and the long-awaited Penguins of Madagascar. It was only recently that Mike Reyes over at Cinema Blend pointed out why they made the decision. Here is the reason and why it's a savvy move, in Reyes' own words. A move like this typically speaks to a studio not being very confident in the product that they're delaying, but I think there's a much clearer motive to the switch. 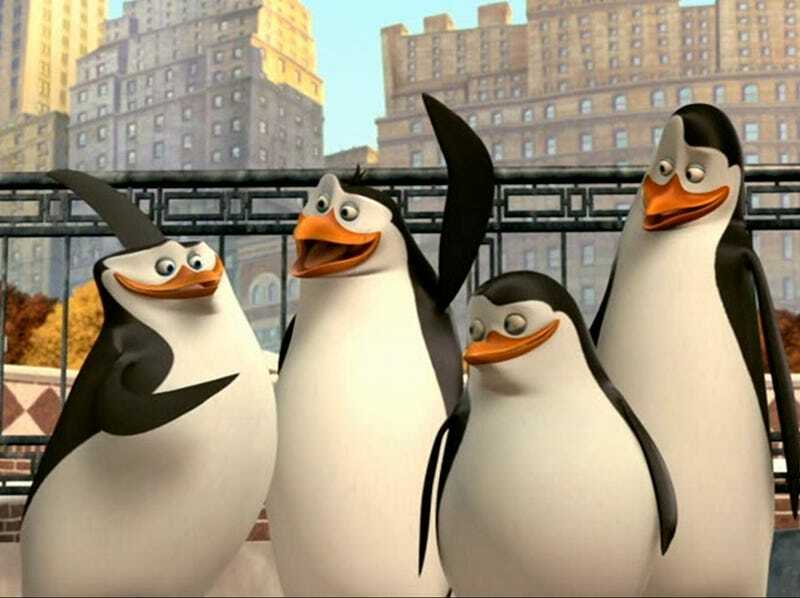 DreamWorks Animation wants to put the sure bet (The Penguins Of Madagascar) on the table so it can make some fast, easy money up front, thus leaving themselves some time to reposition and cushion the untested property in their arsenal. This is a smart move for several reasons, chiefly that while Home does boast the all star cast of Steve Martin, Jim Parsons, and Rhianna, to mention a few, it isn't a powerful enough title to go up against this year's obvious winner of the Thanksgiving box office,The Hunger Games: Mockingjay – Part I. With Catching Fire becoming last year's highest-grossing film, and Jennifer Lawrence's popularity at peak output, the juggernaut that is Katniss Everdeen's war against class warfare is going to be the movie to beat, and all Home really has to show for itself at this point is a charming animated short that was attached to Mr. Peabody and Sherman. Seeing as the studio is already reeling from the accounting ramifications of that film, it obviously can't say that the following short had the marketing impact they had hoped for. Will DreamWorks ever confirm this? Unlikely. But still, it does make sense. Here's hoping that both films make the studio some money because they make good films.